Merry Christmas everyone! I hope you are all having a warm and happy holiday with your family and friends. 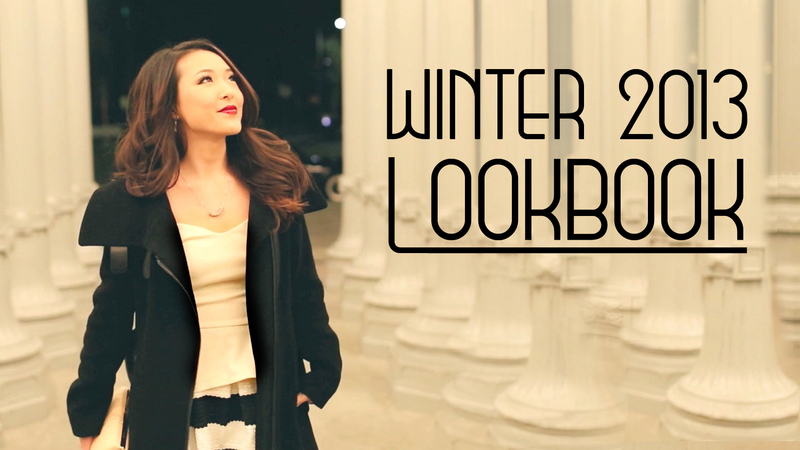 To help kick off the winter season, I wanted to share with you another lookbook video I created. Winter in LA is interesting considering today it was 80 degrees which is a huge departure from the freezing "white" Christmases I'm used to back in Kansas, but you better believe I'm still enjoying playing with layers and bringing some life back into the gloomy, chill evenings. For these outfits, I tried to mix what I would wear in actual cold weather with things I'd wear in milder temperatures which you can warm up by adding wool stockings and a nice coat. ;) I hope you enjoy the video! Not to be completely cliché, but thank you so much for all of your love, support, kindness, and inspiration. Christmas is a time when I remember to think of all those I love and all those who have helped me to become who I am so it gives me incredible joy when you leave a comment to tell me that a look or tutorial also helped to improve your life in some way. Some people may think blogging or creating Youtube videos is silly, but for me it's all about touching hearts. Thank you, thank you, thank you for blessing my life by touching mine. Merry Christmas Jen, hope you're having a blessed time celebrating! Merry Christmas Jen! Love the video, beautifully filmed. By the way, have I ever told you how much I like your header?? It's so cool!!!! love that purple sweater ! the purple color is soo pretty..
Jen you look stunning! I'd kill for your figure haha. And you're so naturally photogenic, it's quite unfair!